It should sadden you that there will never be a good Masters of the Universe game. 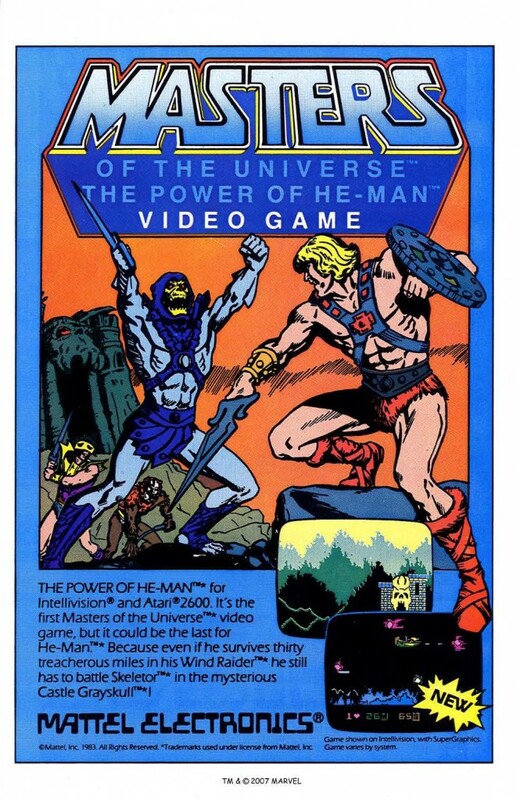 Masters of the Universe: The Power of He-Man was released for the Intellivison and Atari 2600 in 1983. Given that He-Man was a huge thing for Mattel, it was only a matter of time before he got his own video game. However, the game generally reflected the low budget productions of just about anything He-Man related, and was not very good.